Clarke Historical Library News and Notes: What's That Little Green Hat All About? 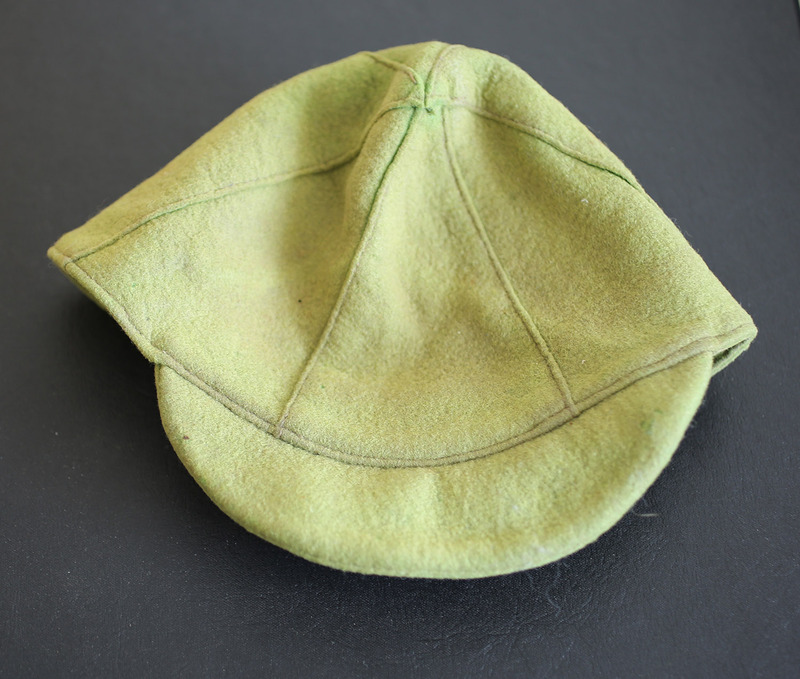 The Clarke recently received a donation of an interesting little green beanie that holds more CMU history than one might think. The hat, which belonged to Central State Teachers College alum, Myron Georgia (BS 1935), was a freshman cap from 1932. 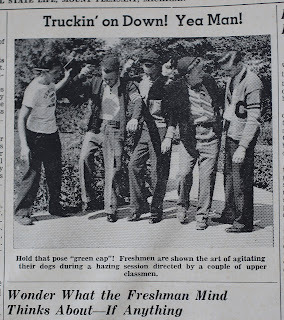 Back in the day (1920s-40s), freshmen at Central were required by upperclassmen to wear green caps while on campus as a way to distinguish freshmen from the rest of the student body. To the freshmen, it was hazing. But to others, it was tradition and a fun way to create class rivalry and distinction. At some point during the academic year, the upperclassmen would designate one day "Cap Day," a day in which freshmen could shed their badge of dishonor and publicly burn the hats. Or, in the case of this cap and luckily for the Clarke, a student might keep it as a fun memento of his or her freshman year. 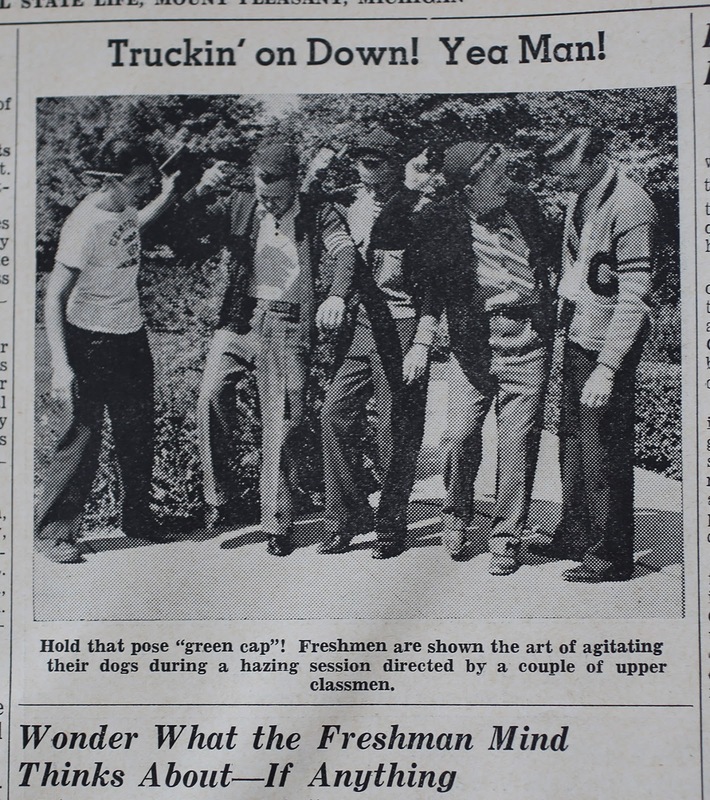 To prolong the amusement of the upperclassmen, you can bet that "Cap Day" was delayed until the last week of classes each year forcing the freshmen to walk around with their ridiculous hats for as long as possible. Girls who didn’t want to wear the hats were allowed to wear green ribbons to signify their freshman status at Central. Since receiving it, the Clarke has transferred the cap to CMU's Museum of Cultural and Natural History where it will be stored with a multitude of other objects related to Central's history. For a variety of very good reasons, the green cap tradition is no longer with us -- and we are sure that the thousands of incoming freshman this fall appreciate that. But the memory of past injustices committed against young and naive freshman can be remembered forever thanks to a small amount of green felt and some digging in the archives.